The Ella skiff has made a bit more progress this evening. I’m pleased to say that we’ve now got a pdf file of the drawings needed to make a simple model ready to be downloaded and printed out. 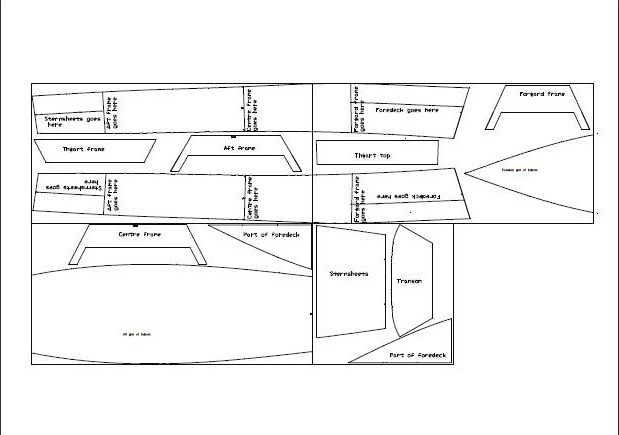 The boat’s become a little simpler than the initial drawing showed. 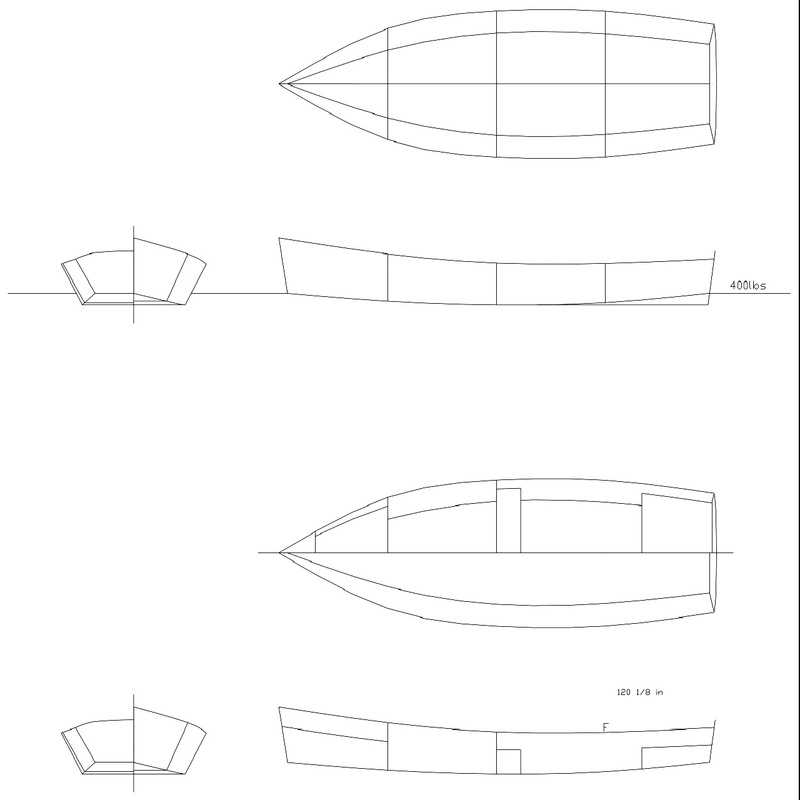 There’s no forward rowing position, for example, because I couldn’t find a way of fitting it into the panels above – and I didn’t want to go beyond three and a half sheets of ply for this boat. If you’re interested in her, all you need to do to make a model is to take a printout, stick it to a piece of cereal packet, cut out the various panels and make up the model with sticky tape. Here’s one example of how this kind of model can look; here’s a second example made by the excellent Ben Crawshaw; and here’s a third example made by Woody Jones, and complete with little wire figures made to scale. If anyone out there makes a model of this little boat, I’d be very grateful to see them, and to be able to post them here at intheboatshed.net! That’s wonderful – do stay in touch and ask any questions you wish – I’m very happy to help you make a success of it. If you’re a first timer, I would recommend building some thing very simple first, such as a Mouseboat. Good evening, excuse me, I’m just a Brazilian guy trying to make the model, but when I had the models printed in pdf it was out of proportion, the pieces of the file ella skiff zip package do not fit, I’m trying to print on an A4 sheet, which sheet was used for printing, if you can give me an answer I appreciate it !!! Forgive me, I do not know how to speak English, I used google translate. The 4 by 8 pages must printed in the same orientation.